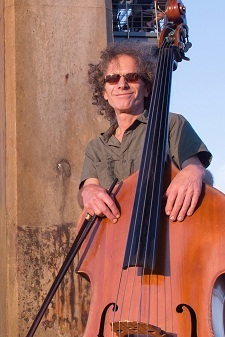 Music lovers in Durban and surrounds have been deeply shocked at news that Simon Milliken, former Principal Double Bassist of the KwaZulu-Natal Philharmonic Orchestra, met with a violent death on Friday afternoon (August 31, 2018). Milliken retired from the Orchestra last year, but continued to perform on an ad hoc basis with his former colleagues, most recently in concert this past Thursday in the Durban City Hall, during the KZNPO’s current Early Spring Season, performing under the baton of the Hong Kong-born guest conductor, Peri So. A passionate nature lover, Milliken had taken Mr So on a bird-watching hike in Durban’s Burman Bush Nature Reserve on Friday, when the pair were attacked. The conductor and Milliken fled in opposite directions, Mr So managing to escape unharmed. Tragically, Simon’s body was discovered in the Nature Reserve early this morning (Saturday, September 1). Tributes and expressions of sorrow from friends and colleagues have been pouring in on Facebook for the much-loved musician.